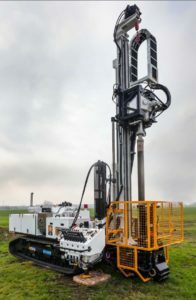 Raeburn Drilling & Geotechnical LTD is excited to announce the purchase of a new Sonic Drilling Rig to add to its industry leading fleet of high performing drilling rigs. The LS250 Minisonic Rig model has the capability to drill to depths of greater than 60m. 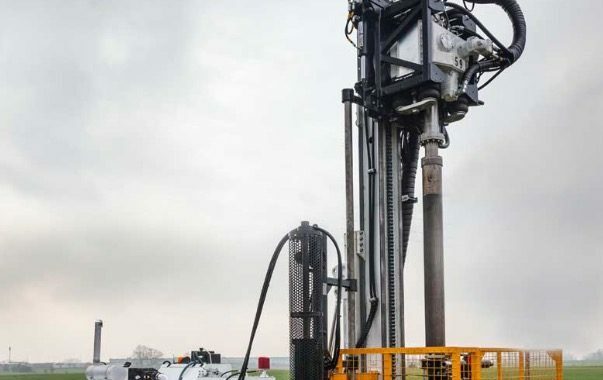 It is track mounted and combined without specialised in-house Low Ground Pressure capabilities will allow us to reach any desired drilling locations. The introduction of our sonic rig to your job will see you, the Client reap, the benefits and enable Raeburn Drilling to complete your job more efficiently and cost effectively. The sonic rig has the ability to drill through almost any material so greatly reduces the risk of having to re-drill a hole should an obstruction be encountered. It will also complete boreholes at least 3 times quicker than conventional drilling methods. Sonic drilling not only allows holes to be completed quicker and more efficiently but because of the greatly reduced waste generated (up to 80%) compared to Cable Tool and Rotary the high cost of waste disposal is minimal. The unique way that the sonic rig works through vibration of the core head allows the sonic rig to drill without air or water for most soft to medium hard formations. The unique calibration of vibration, rotation and downward forces exerted on the formation by the head can be adjusted and fine-tuned by our expert operators depending on the rock lithology and hardness to optimise drilling rate, again reducing cost and increasing efficiency. Due to the unique drill pipe loading operation on the sonic rig manual handing is greatly reduced making the whole operation safe and efficient. Next time you think sonic, think Raeburn. ← New Drive On Access Rig.